Carleton Myatt boards the Orient Express on a business trip. He gives up his compartment to chorus girl Coral Musker, who falls ill en route. She is attended to, rather unwillingly, by Dr. Richard John. Journalist Mabel Warren boards the train and seeing Dr. John, remembers him from a trial years before; in which he was a witness for the prosecution but disappeared during the trial. His real name is Dr. Czinner, and he is returning home to Belgrade to lead an uprising. Josef Grunlich is burgling a home near the Vienna station, and is surprised by the owner. He shoots and kills the owner, and escapes by boarding the train which is in the station. Myatt becomes affectionate for Coral Musker and they become lovers. At Subotica, troubles begin. The area is under martial law after an uprising, and troops search the train looking for Czinner, who was to be a leader of the uprising. Czinner, Coral, and Grunlich are taken from the train and given a military tribunal trial. They escape, but Czinner is fatally wounded in the attempt. Coral is rescued by Mabel Warren, who dreams of her as her new lover. Myatt continues to Constantinople - not knowing what happened to Coral. He and Janet Pardoe meet with his business associate Stein, also Pardoe's uncle; and plan their future. This book is a bit hard to follow at times, as the author follow's everyone's thoughts, and not always identifying who is doing the thinking. Some of thoughts are fantasies of better days and faraway places, and they tend to distract from the story line. There are two distinct story lines here. 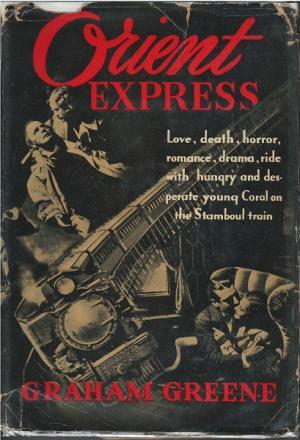 Up until Subotica, the novel is reminiscent of Christie's Murder on the Orient Express (which was based on this book), and we are just follow the characters as they pair up and get to know each other. Once at Subotica, it becomes a grim story of martial law, a token tribunal trial, escape, and death. After leaving Subotica, the story returns to our main character Carleton Myatt as he pursues both women and his career. It was surprising that a book written in 1932 would devote so many pages to Mabel Warren and her relationship with her lover Janet, and yet when Myatt and Coral consummate their affair in the sleeper car, it is all over in one sentence.